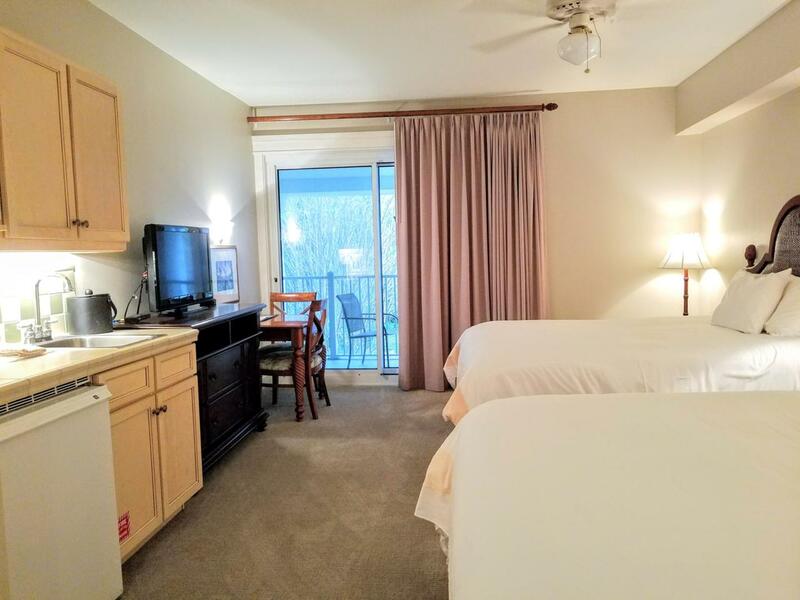 Larger than your typical studio, this 2nd floor resort condo has brand new flooring, two queen size beds, refrigerator, sink and microwave and a private covered balcony overlooking the Grand entrance and fountain. This condo is offered fully furnished and is currently an A-rated rental on Sandestin Rental Program! The Grand Sandestin welcomes you with gracious architecture and luxurious amenities including a fitness center, swimming pool, on-site check in, a concierge and valet parking, and Ballyhoo bar and lounge. Also enjoy being adjacent to the Village of Baytowne Wharf with lots of shopping, dining, and daily & nightly activities for the whole family.As an introduction to the Sandestin lifestyle, we invite our new owners to explore amenities that make Sandestin special. The listing brokerage and seller(s) are presenting the buyer(s) of this property with (2) 90-minute rounds of Tennis court time, a golf foursome at one of our three championship courses, a round of golf for up to four (4) players and an invitation to "Club Night" at the unrivaled Burnt Pine Golf Club. Sandestin Golf and Beach Resort is a major destination for all seasons and all ages, and has been named the #1 resort on Florida's Emerald Coast. This magical 2,400 acre resort, comprised of over 70 unique neighborhoods of condominiums, villas, town homes, and estates. The resort features more than seven miles of beaches and pristine bay front, four championship golf courses, a world-class tennis center with 15 courts, 19 swimming pools, a 113-slip marina, a fully equipped and professionally staffed fitness center and spa, meeting spaces and The Village of Baytowne Wharf, a charming pedestrian village with events, shopping, dining, family entertainment and nightlife. For true golf cart community living, Grand Boulevard is just outside the resort gates and provides access to additional shopping, dining and entertainment, all without traveling on Hwy. 98. Come to Play, Stay for Life! © 2019 Emerald Coast Association of Realtors MLS. All rights reserved. IDX information is provided exclusively for consumers' personal, non-commercial use and may not be used for any purpose other than to identify prospective properties consumers may be interested in purchasing. Information is deemed reliable but is not guaranteed accurate by the MLS or Rosemary Beach Realty. Data last updated: 2019-04-25T22:59:21.68.